Dip or sauce can make or break your party. It is an essential part of any party buffet as it adds flavor and texture to a food. Dips are mainly served with chips, tortillas, vegetables, meat, falafel and crackers. Here are a variety of dip recipes to try. Hummus is a popular Middle Eastern dip made from cooked chickpeas and tahini. It is served as a staple dip in Morocco, Turkey and Istanbul. 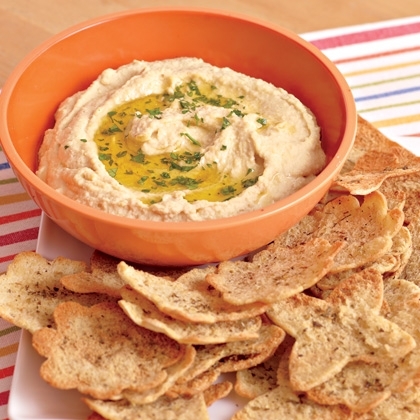 Serve hummus with pita chip for a healthy snack after a sports practice. Hummus is extremely easy to prepare. All you need to do blend all the ingredients and serve with pita bread. You can use this dip as a sandwich spread as well. You can also replace tahini with peanut butter for a nutty taste. I’m sure your kids will urge you to make this dip again and again. This easy to prepare peanut dip is a hit among the kids. Creamy peanut is topped with ginger, garlic and soy for an authentic Thai taste. It has the right amount of spice and nutty taste to compliment your taste buds. Spread this sweet and pungent taste on grilled tofu or paneer. Serve this dip with warm noodles for a filling snack. This delicious sauce can also be used as a dipping sauce for rolls. This is one the easiest dips to prepare. A handful of parsley is combined with sour cream and mayonnaise to make a refreshing dip. Serve this dip to your husbands after their hectic day at the football field. 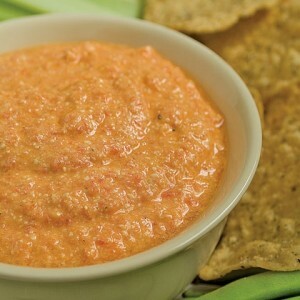 This dip tastes best when spread on sandwiches and crackers. 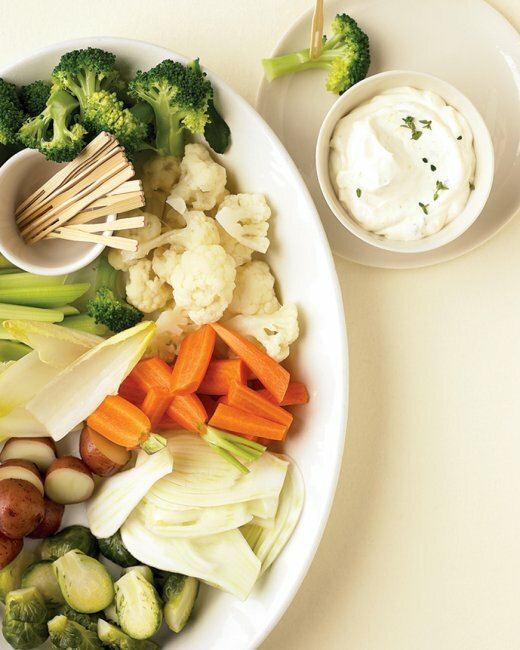 You can add any of the herbs you like into this appetizer dip. 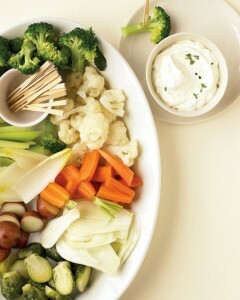 You can also serve this tasty dip with celery and cucumber sticks. The high amounts of parsley in this dip helps to maintain healthy cholesterol level, making this dip a nourishing accompaniment. 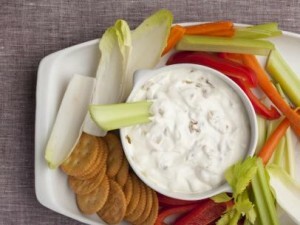 This fabulous dip is perfect for summer get together. The dip is composed of shreds of crab meat and spices and is served with chips, onion rings and crackers. 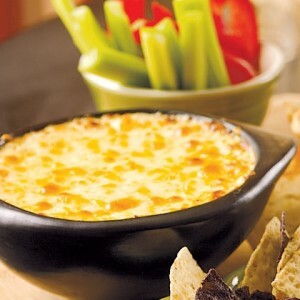 This delicious and addictive crab dip will surely keep your guests wanting for more. A little of this pleasing dip will go a long way. This sweet and simple dip is perfect for kid’s birthday parties or a casual brunch. The dip tastes as apple pie filling and can be served as a starter or even a dessert. 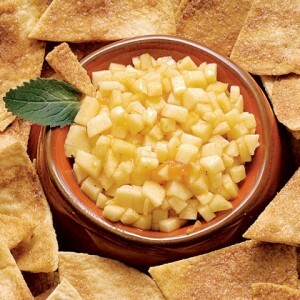 The apples are chopped finely and are caramelized with cinnamon for a tasty dip. Serve it with tortillas after the football session. This popular dip is ideal for social gatherings. You can use the leftover cooked salmon for preparing this dip. This delicious spread is made from fresh, smoked salmon. This savory appetizer will go best with French loaf or vegetables. 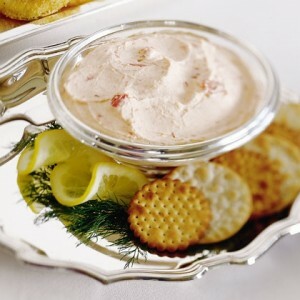 You can also serve it with bland crackers to enjoy the taste of smoked salmon the most. Fondue is a French and Italian dish of melted cheese served in a pot over a portable stove. It is made with cheese, wine and coarse peasant bread. I’m sure you all must have tried regular cheese fondue, but this one is a fondue with a twist. A few spoons of salsa are stirred in this fondue to give it a Mexican touch. Eat as soon as it is prepared because the sauce thickens once it cools down. 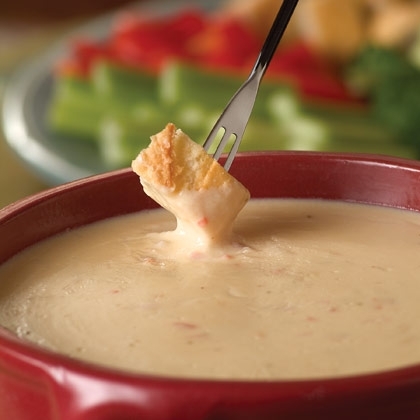 Serve this yummy cheese dip with bread cubes. Serve fondue as the main dish or as a part of a multicourse meal. Sweet onion dip is creamy, decadent and is extremely easy to prepare. The onions are subdued and then cooked with sugar to enhance the sweetness. Serve it chips or crudité for a satisfying meal. I’m sure this dip will keep the chips scooping throughout the party. 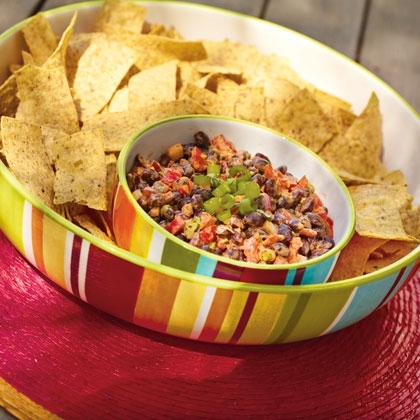 This black bean salsa tastes terrific with tortilla chips. It makes a good side dish as well. You can also top it on shrimps, fish and chicken. This salsa dip contains high levels of fiber, making it a perfect side dish. You can substitute the vegetables with whatever vegetables you feel like. Edamame is a perfect option for the evening, but you can also prepare a delicious dip out of it. 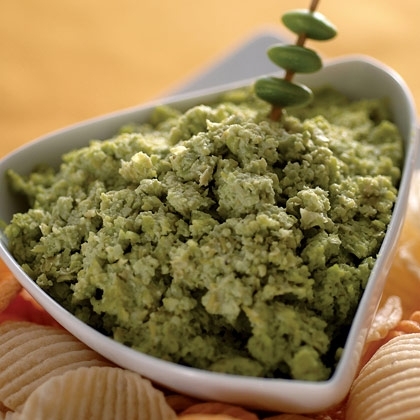 This green hued dip looks a lot like guacamole, but is actually made of edamame. This healthy and nutritious dip is composed of edamame, salt, garlic, olive oil, sugar, pepper and lime juice. 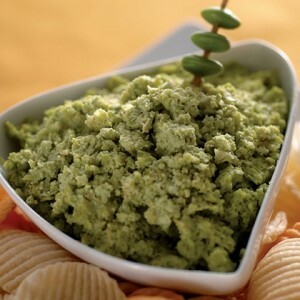 The dip has a smooth texture and tastes quite similar to guacamole, yet has a low fat content. All you need to do is puree all the ingredients and serve with a sandwich spread. You can also add white beans to enhance the flavor. This incredible and tasty dip takes just minutes to prepare. This dip combines the sweetness of red pepper and saltiness of feta cheese. Roasted red pepper is whipped with feta cheese for a taste punch. This dip will taste amazing with roasted pita bread and crackers. 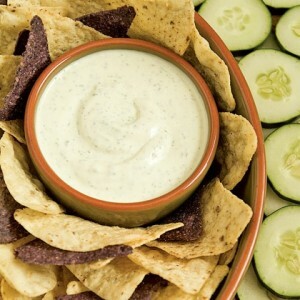 You can slather this dip on your chicken or vegetables for a tasty and quick meal. Remember, feta cheese is quite salty, so avoid adding extra salt. 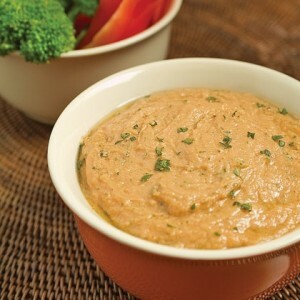 White beans make a creamy and tasty dip when pureed. The rich flavor of sage is not at all over-powering. It blends well with the white bean. The addition of lemon juice in this dip sets this tasty dip apart from other dips. Serve it as a spread on crackers or with healthy vegetables. Combine all the ingredients and serve at room temperature. If you are serving the dip with pita bread, then heat it before serving. Prepare this dish in advance so that the flavors blend well. 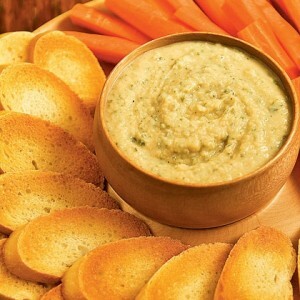 This is the yummiest dip, you can serve to your guest. This herb will add flavor to green salads, vegetables, pizza, pasta and grilled meat. What more! It is easy to prepare too. Combine all the ingredients and season with salt, pepper and herbs. This dip will last for not more than 3 days in the refrigerator. So prepare only when required. Break the monotony by giving your onion dip a twist. This dip is made with sautéed onions, cream cheese and bacon. The heavenly combination of onion and bacon is ultra-rich and is loaded with flavor. The texture and flavor will melt completely in the mouth. 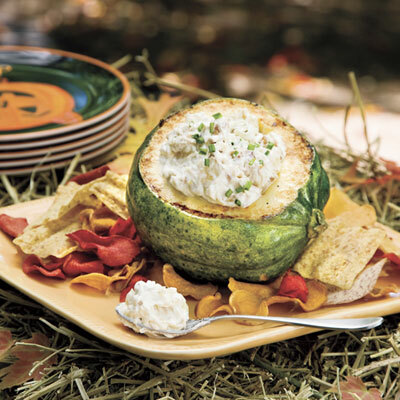 Serve this sumptuous dip in a squash or pumpkin for a more spooky effect. It will surely wow your Halloween party guests. This colorful dip will attract all the eyes in your Halloween party. 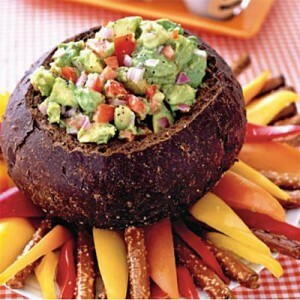 It contains chock full of avocados, peppers and tomato. This dip will go best with whole grain pita bread. The dip is not just tasty, but is healthy as well. The dip appears like a creepy bubbling cauldron. Serve this to your guests for a spooktacular party. This warm and cheesy dip is very popular in the Halloween party. It is made by combining herbs with sour cream and cheese. Not just the kids, but also the adults will also love you for this dip. 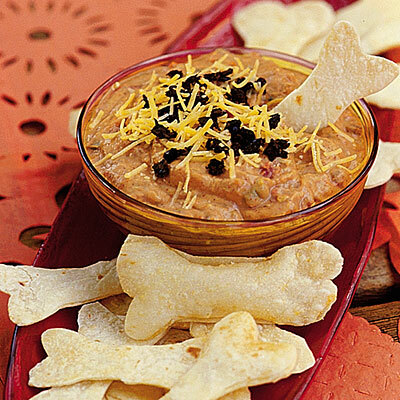 Serve it bone crackers to create the perfect ambience for the Halloween party.